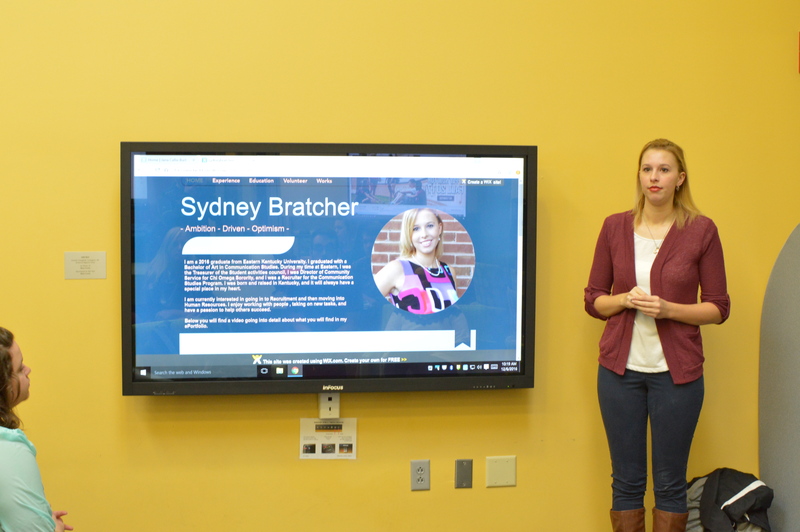 On Tuesday, December 6, 2016, the students enrolled in Dr. Jennifer Fairchild’s CMS 495 showcased their capstone projects in the Noel Studio’s Greenhouse. 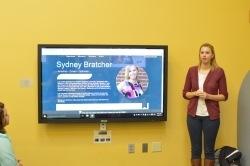 The students created an ePortfolio: a digital archive that highlights their accomplishments and aspirations, tailored for a professional audience and designed for use in establishing a career after EKU. The Noel Studio offers consultations for students designing multimodal projects from all disciplines. In addition, faculty can schedule requestable workshops to prepare their students to address design-focused issues in multimodal communication projects while also learning new ways to hone teaching skills. A recent issue of the International Journal of ePortfolio suggests that ePortfolio design is the 11th High-Impact Educational Practice. The Noel Studio supports high-impact educational practices across EKU’s campus. We welcome inquiries from faculty and students via email or phone at 859-622-7403. Follow the Noel Studio on social media at @noelstudio.